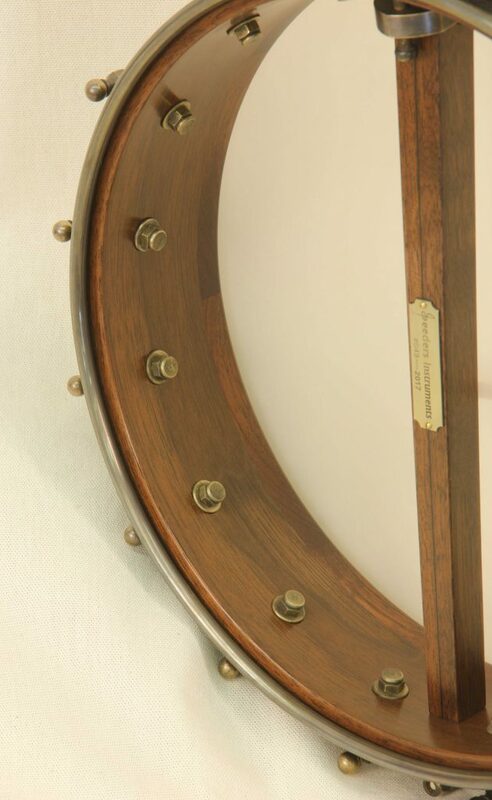 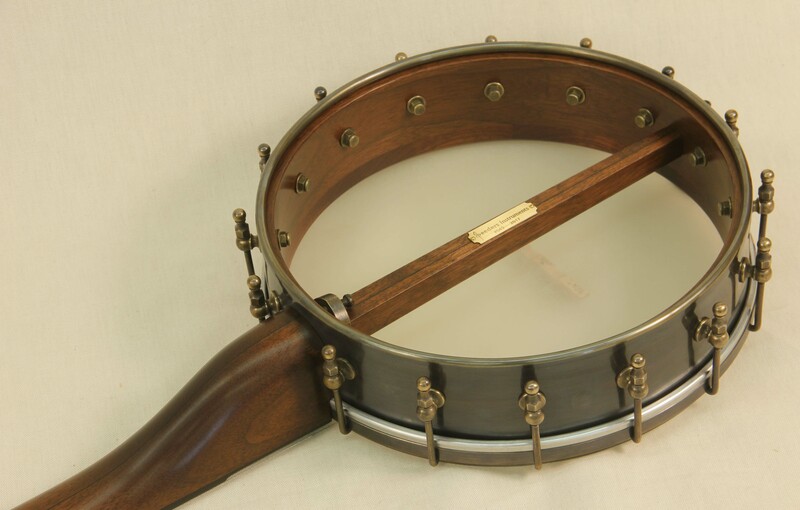 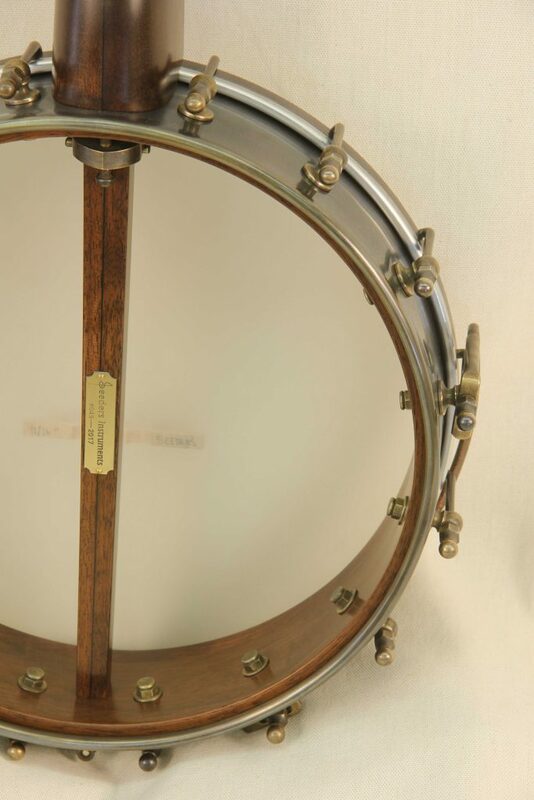 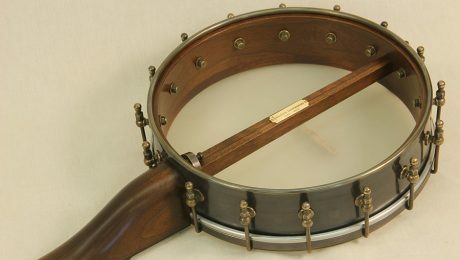 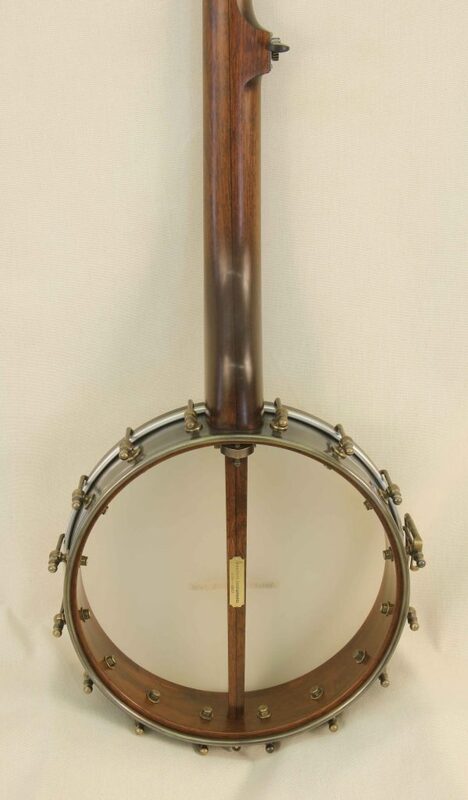 This slothead banjo features a brass and Walnut half spun over rim with a Walnut neck. 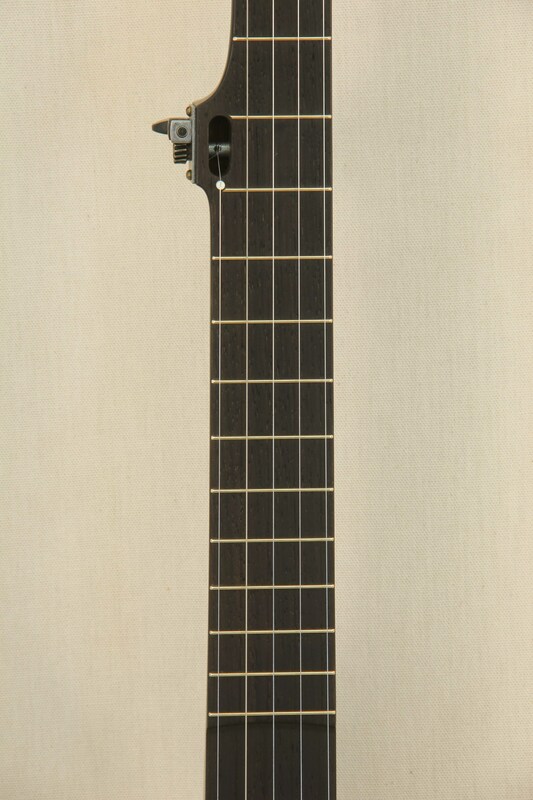 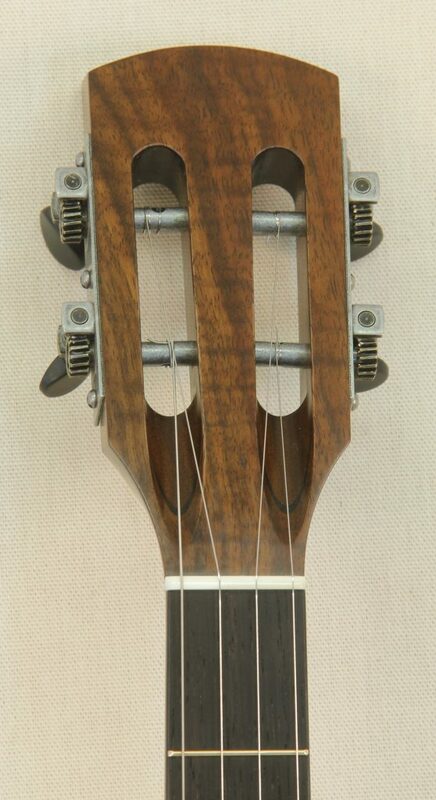 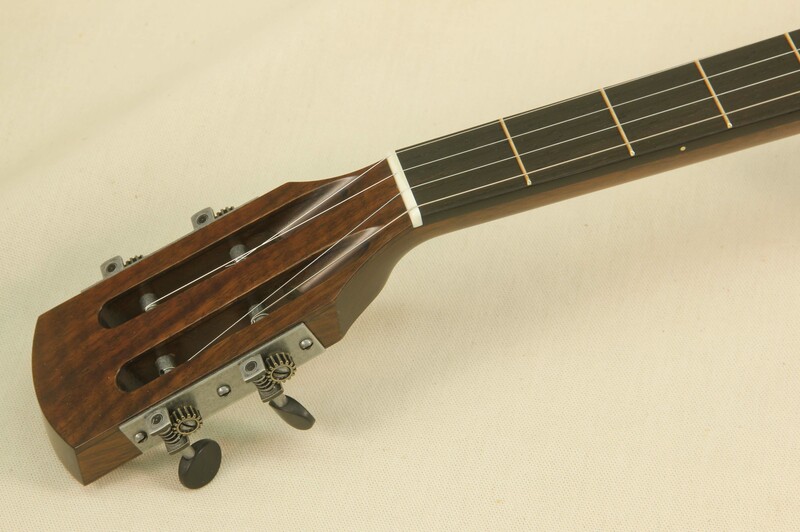 The unique slotted fifth string tuner is located on the 7th fret, a detail often found on some original Dobson banjos. 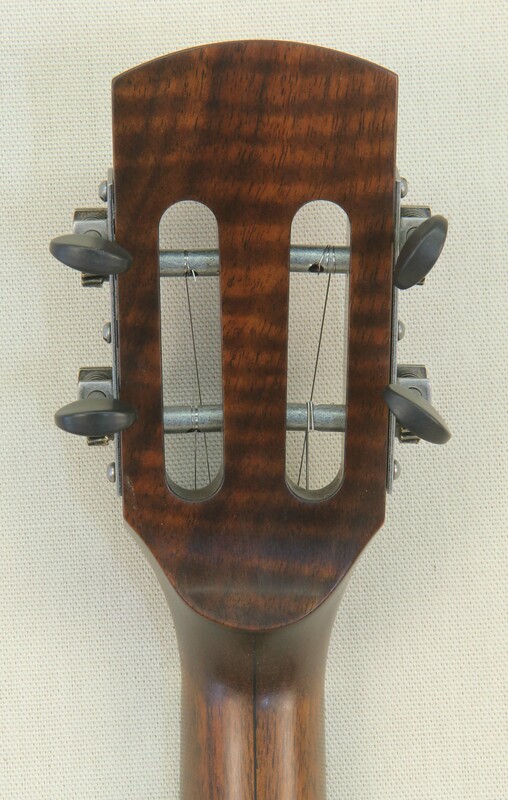 Because of the extra mass of the slotted fifth string tuner area this gives the player plenty of room below it for more comfortable playing. 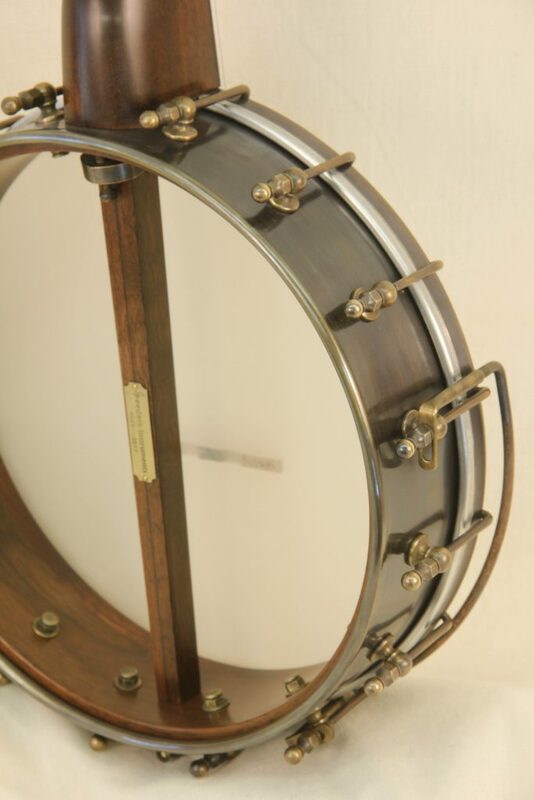 The rim features a deep brass clad exterior topped with a Bubinga tone ring. 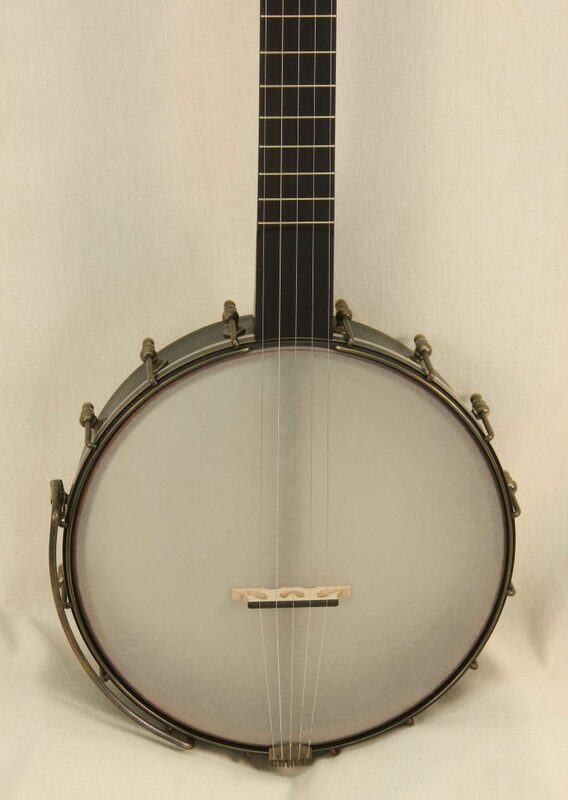 The unique design of this banjo gives it a eye catching look and has an incredibly well rounded sound to match. 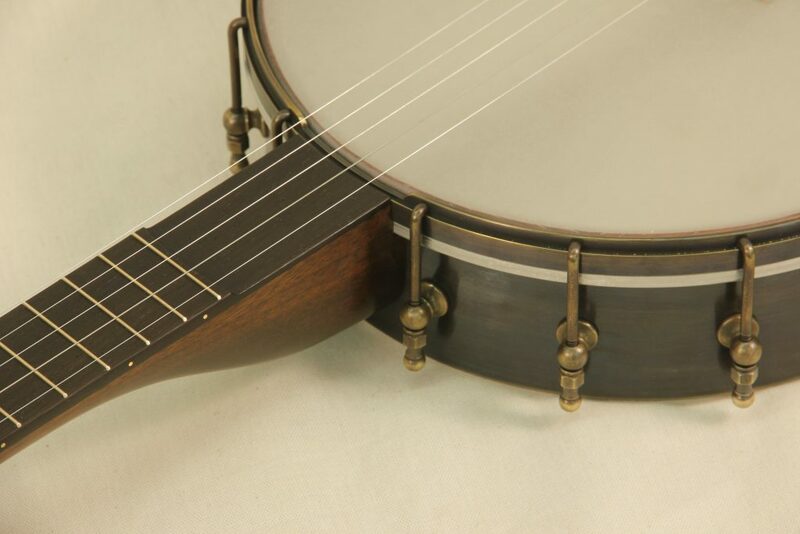 I was recently featured in Fretboard Journal article about the fundamentals of open back banjo construction. 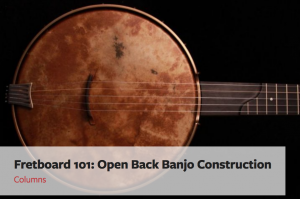 The author, Carling Berkhout, interviewed builders, players and banjo experts to find a wealth of information that will be interesting to any banjo player.